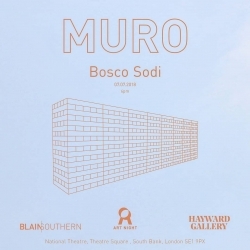 Bosco Sodi's performance-installation Muro at Hayward Gallery, London, UK. 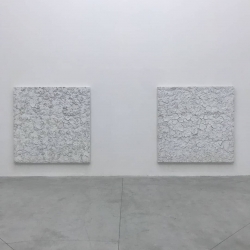 Bosco Sodi in the group exhibition Jay DeFeo: The Ripple Effect at the Aspen Art Museum, Aspen, CO. Other artists: Trisha Donnelly, Sam Falls, Rachel Harrison, Wyatt Kahn, Ron Nagle, R.H. Quaytman, Ugo Rondinone, Oscar Tuazon, etc. 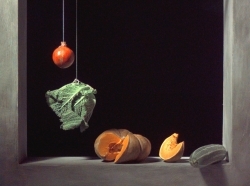 Amy Feldman in the group exhibition This and That: Some Recent Acquisitions at The Hall Art Foundation - Schloss Derneburg Museum, Holle, DE. 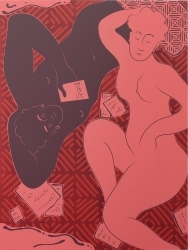 Other artists: Nina Chanel Abney, Georg Baselitz, Katherine Bernhardt, Nicole Eisenman, Olafur Eliasson, Barbara Kruger, Albert Ohelen, Daniel Richter, etc. Ori Gersht in the group exhibition Flood - Contemporary Israeli Photography at Ashdod Art Museum, Ashodod, IL. Two person show Ori Gersht et Zadok Ben-David at Musée de la Chasse et de la Nature, Paris, FR. 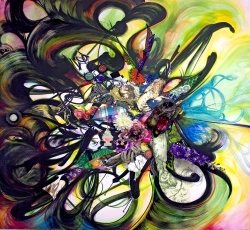 Angel Otero in the group exhibition Inherent Structure at Wexner Center for the Arts. 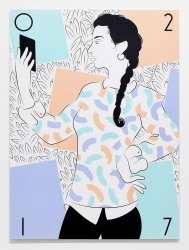 Other artists: Richard Aldrich, Sam Gilliam, Rebecca Morris, Laura Owens, Thomas Scheibitz, Amy Sillman, Stanley Whitney, etc. 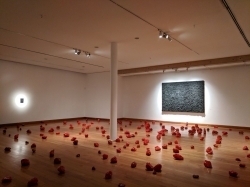 Bosco Sodi in the group exhibition A Tradition of Revolution at Nasher Sculpture Center, Dallas, TX. Other artists: Constantin Brancusi, Georges Braque, Alberto Giacometti, Donald Judd, Sol LeWitt, Ana Mendieta, Pablo Picasso, August Rodin, Medardo Rosso, etc. José Parlá in the exhibition Artes de Cuba at The Kennedy Center in Washington D.C.
A performance by Marco Palmieri is part of the the project Psst... A Play on Gossip curated by Adrianne Drake, Ilaria Gianni and Arnisa Zeqo at Fondazione Giuliani in Rome, IT. 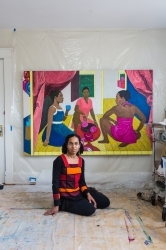 An interview to Mequitta Ahuja by Cara Ober is featured on BmoreArt magazine. 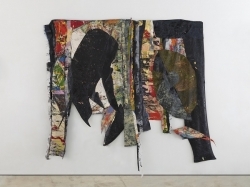 Congrats to Amy Feldman who has been awarded the prestigious JOHN SIMON GUGGENHEIM MEMORIAL FOUNDATION, 2018 Fellowship - United States and Canada - Fine Arts. 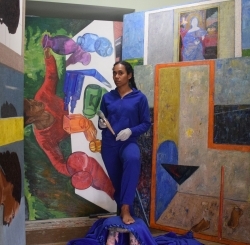 Congrats to Mequitta Ahuja who has been awarded the prestigious JOHN SIMON GUGGENHEIM MEMORIAL FOUNDATION, 2018 Fellowship - United States and Canada - Fine Arts. 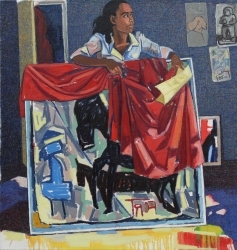 We’re pleased to announce that the the work Material Support Studi II by Mequitta Ahuja was acquired by Petrucci Family Foundation Collection of African American Art, Asbury, NJ. 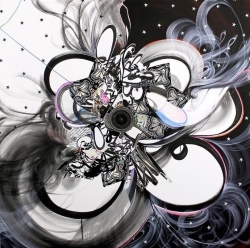 We're pleased to announce the representation of the Italian artist Marco Palmieri. 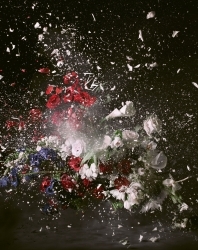 Ori Gersht in the group exhibition Visible Sound at Kunstkraftwerk Leipzig, Leipzig, DE. 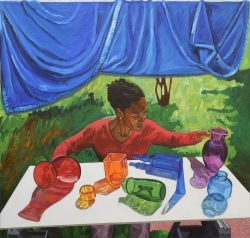 We’re pleased to announce that the the work In Back Garden, Blue Carpet by Mequitta Ahuja was acquired by Petrucci Family Foundation Collection of African American Art, Asbury, NJ. Solo exhibition Give Light, But Burn Not The Saint by Bosco Sodi at MAVI Museo de Artes Visuales, Santiago, Chile. Marco Palmieri in the group exhibition Fashion Arts Commission 2018 supported by the British Fashion Council at Christie's King Street in London. 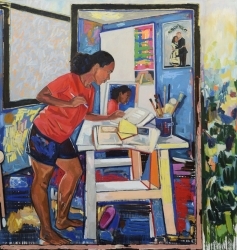 Solo exhibition Shinique Smith: Refuge curated by Essence Harden, at California African American Museum, Los Angeles, CA. 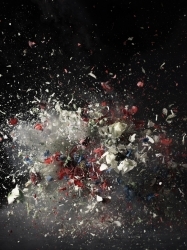 Ori Gersht in the group exhibition The Golden Pavillon at De Warande, Turnhout, BE. Deborah Kass in the group exhibition Scenes from the Collection at at The Jewish Museum, New York, NJ. Other artists: Mel Bochner, Nicole Eisenman, Eva Hesse, Jasper Johns, Lee Krasner, Camille Pisarro, Robert Rauschenberg, Mark Rothko, Kehinde Wylie, etc. Marina Adams, Angel Otero & Jackie Saccocccio in the group exhibition Annual Invitational Exhibition at American Academy of Arts & Letters, New York, NY. at Dowd Gallery, SUNY Cortland, Cortland, NY. 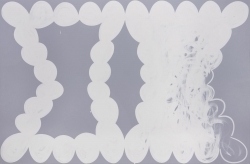 Other artists: Sanford Biggers, Ross Bleckner, Tara Donovan, Carroll Dunham, Barbara Kruger, Christian Marclay, Marilyn Minter, Tony Oursler, Faith Ringgold, Martha Rosler, Andres Serrano, Fred Wilson, etc. 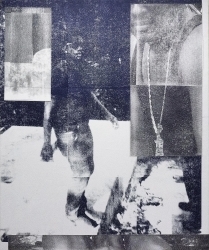 Paul Anthony Smith in the group exhibition Reclamation! 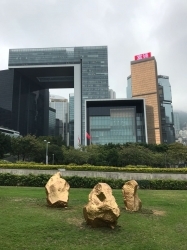 Pan-African Works from the Beth Rudin DeWoody Collection at the Taubman Museum of Art, Roanoke, VA.
Bosco Sodi in the group exhibition Harbour Arts Sculpture Park 2018 in Hong Kong. Other artists: Michael Craig-Martin, Tracey Emin, Jenny Holzer, Antony Gormley, Yayoi Kusama, Tony Oursler, Conrad Shawcross, Hank Willis Thomas, Mark Wallinger, Zhan Wang, etc. 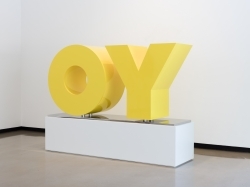 We're pleased to announce that Deborah Kass' work "OY/YO” has been acquired by The Jewish Museum, New York, NY. 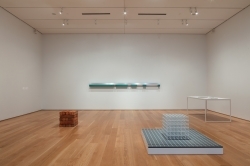 Shinique Smith in the group exhibition Solidary & Solitary: The Joyner/Giuffrida Collection at Nasher Museum of Art, Durham, NC. 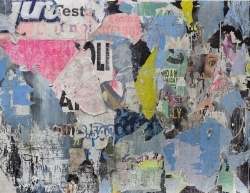 Other artists: Mark Bradford, Leonardo Drew, Sam Gilliam, Glenn Ligon, Lynette Yiadom-Boakye, etc. 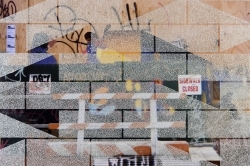 We're pleased that the works Nostrand and Grey Area 5 by Paul Anthony Smith are currently on view in the permanent collection of the Minneapolis Institute of Art, Minnepolis, MN. 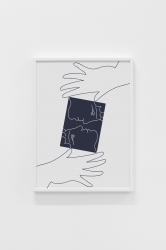 Marco Palmieri in the group exhibition Cinque Mostre: The Tesseract, curated by Ilaria Gianni at American Academy In Rome, Rome, IT. 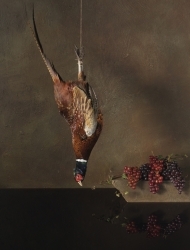 Ori Gersht in the group exhibition Material Earth: Myth, Material and Metamorphosis at Messum Wiltshire, Messum, UK. 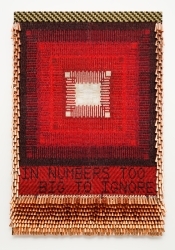 We're pleased to announce the representation of the American artist Jeffrey Gibson. 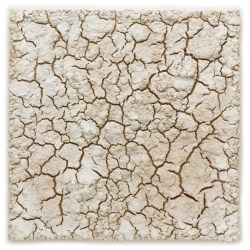 Bosco Sodi in the group exhibition Jay DeFeo: The Ripple Effectat Le Consortium, Dijon, FR. Other artists: Trisha Donnelly, Sam Falls, Rachel Harrison, Wyatt Kahn, Ron Nagle, R.H. Quaytman, Ugo Rondinone, Oscar Tuazon, etc. 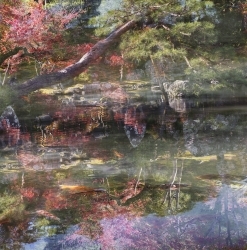 Ori Gersht in the group exhibition In The Garden at The Cummer Museum of Art & Gardens, Jacksonville, FL. 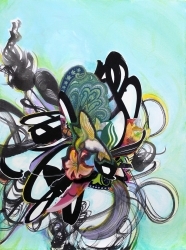 Our current group exhibition A Space for Thought is featured on Blouin Artinfo. 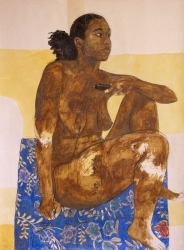 Mequitta Ahuja in the group exhibition Unveiled at Creative Alliance in Baltimore, MD. 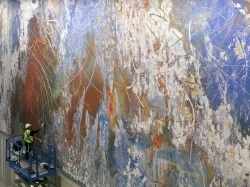 José Parlá’s major commission "Amistad América" at the The University of Texas at Austin is finally being unveiled. His mural painting transforms a 4,000 square foot wall in the new Rowling B. Hall into a sweeping visual landscape.This commission for Landmarks is the artist’s most ambitious project to date, transforming a 25x160 foot wall into a sweeping visual landscape. Conceived as a narrative that evokes Austin’s natural environment and its urban cityscape, the mural will feature Parlá’s characteristic traces of collage, pulled impasto surfaces, and signature calligraphic marks. 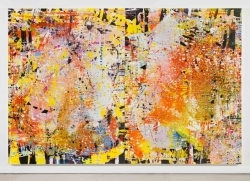 José Parlá's exhibition Mirrors at our gallery was reviewed on ARTFORUM's December issue.